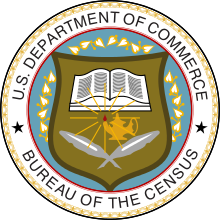 The Fifteenth United States Census, conducted by the Census Bureau one month from April 1, 1930, determined the resident population of the United States to be 122,775,046, an increase of 13.7 percent over the 106,021,537 persons enumerated during the 1920 Census. language spoken at home before coming to the U. S.
Full documentation for the 1930 census, including census forms and enumerator instructions, is available from the Integrated Public Use Microdata Series. The original census enumeration sheets were microfilmed by the Census Bureau in 1949; after which the original sheets were destroyed. The microfilmed census is located on 2,667 rolls of microfilm, and available from the National Archives and Records Administration. Several organizations also host images of the microfilmed census online, and digital indices. Microdata from the 1930 census are freely available through the Integrated Public Use Microdata Series. Aggregate data for small areas, together with electronic boundary files, can be downloaded from the National Historical Geographic Information System. ^ "Library Bibliography Bulletin 88, New York State Census Records, 1790-1925". New York State Library. October 1981. pp. 45 (p. 51 of PDF). Archived from the original on January 30, 2009. Retrieved December 15, 2008. ^ The United States National Archives and Records Administration. "FAQs about the 1930 Census". National Archives website. Retrieved May 17, 2012. ^ "Regions and Divisions". U.S. Census Bureau. Archived from the original on December 3, 2016. Retrieved September 9, 2016. 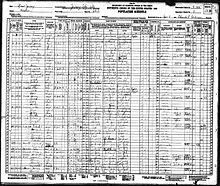 Wikimedia Commons has media related to 1930 United States Census. 1930 Interactive US Census Find stories, photos and more attached to names on the 1930 US census. This page was last edited on 8 March 2019, at 02:16 (UTC).